New series have arrived ! 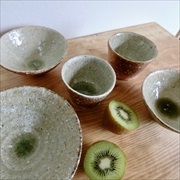 Contrast of earthy texture outside and glossy green glaze inside is beautiful. Good size for salad bowl and coffee cup. 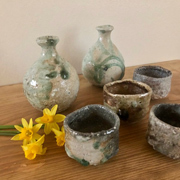 It is a nature's wonder that color and texture of each SAKE cup shows unique expression even though they are fired in the same kiln at the same time. 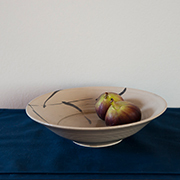 Simple and chic KARATSU bowl by Masayuki Nakano. 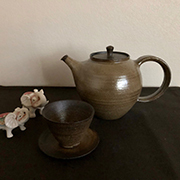 He was born in the family which used to produce pottery as a tribute to the lord. We now have a new collection of Tomoyuki Nakajima. 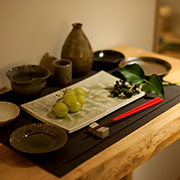 He arranges traditional BIZEN pottery into a modern style. A Happy New Year ! 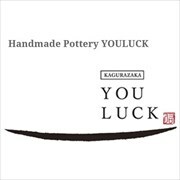 We hope you will find your special piece at You Luck. Our online shop is opened! Please visit our online store and find your favorite pieces. 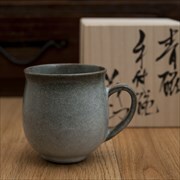 Celadon mug cup is the best choice for X'mas gift! It comes with specially handmade wooden box. 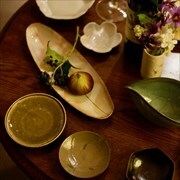 How about using Japanese pottery for home party? 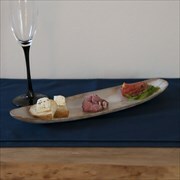 This long-shape dish is good for various kind of snacks when you toast with Champagne! Our English site is now ready!